Charter a private flight to Durango to enjoy a small town surrounded by untouched nature. Entertaining visitors since 1881, this Southwestern Colorado town knows a thing or two about showing luxury private jet travelers a good time. 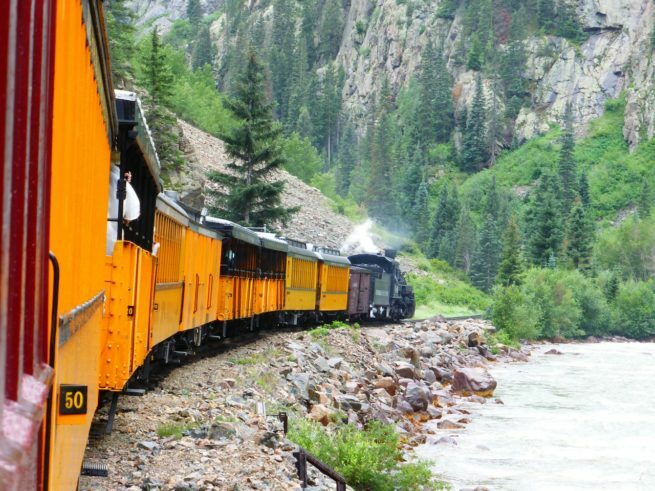 From the prolific fishing grounds of the Animas River Valley to the intricate and picturesque ski slopes of Purgatory Resort, this town has plenty to offer to luxury travelers. The slopes and the fish aren’t the city’s only commodity either. Regardless of your interests and reasons for flying private to the area, Durango ensures a great time with its immense natural beauty lurking around every corner, and Private Jets Colorado can arrange the perfect flight itinerary to suit your needs. Our Wyvern certified jet charter representatives are available 24 hours a day and 7 days a week to ensure that you’re needs are met exactly when they need to be. We can arrange everything from multi-leg private flights with gourmet in-flight catering to luxury ground transportation and helicopter lifts. Request a quote now or give us a call to book your luxury private flight to Durango, Colorado. A luxury chartered private flight to Durango is the perfect way to start off a fun vacation out in nature. With several charming lodging options in the area, it’s easy to kick back after a private flight. From contemporary design hotels and cozy ski lodges to boutique bed and breakfasts, there are plenty of options for after your luxury flight; there’s a hotel for every occasion. If you’re flying private for its main attraction, skiing, then the best lodging option for you is Purgatory Resort. Easily reached from (00C) Animas Air Park, they offer everything from concerts and mini golf to horseback riding and mountain biking. Combine that with gourmet on-site dining and generously appointed suites and you’ve got a recipe for fun that visitors are sure to enjoy. Though the town is full of hotels for private jet travelers, some stand out a bit above the rest. So to help you enjoy your private flight even more, Durango Jet Charter has compiled a list of the absolute best hotels for private jet travelers in the area. Based on jet charter client feedback, online reviews, amenities offered, and location, there’s sure to be something on the list that works for you. Read on to check our list of the best hotels for after your luxury charter flight to Durango, Colorado. Charter a private flight to Durango and let our team make your trip as comfortable and efficient as possible. Whether you’re flying in a small piston aircraft or a semi-light jet, Animas Airpark can accommodate you with its 5,010-foot asphalt runway. Located just six miles South of downtown, it’s the perfect place to land your luxury private jet. However, most visitors heading to the area aren’t going for its amazing downtown scene; they’re going for adventure. Durango is known for world-class fly fishing, skiing, and hiking that will satisfy even the most adventurous. 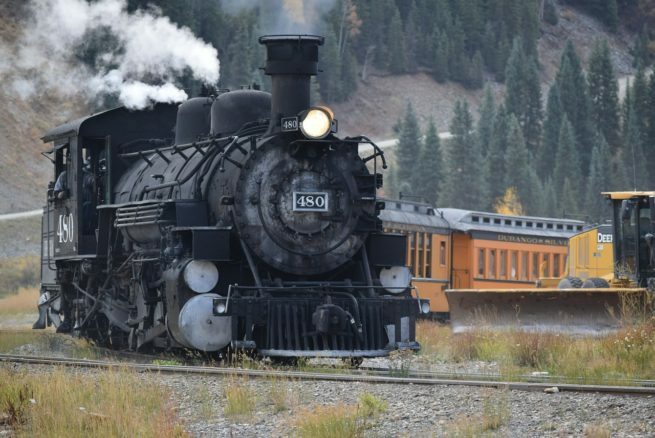 Most of these attractions can be found at or near the iconic Purgatory Ski Resort, formerly known as the Durango Mountain Resort. No stranger to accommodating travelers, Purgatory makes getting in and out of the resort easy with their own helipad. A 45-minute drive from Animas Airpark, most clients opt for this option. Our jet charter representatives can arrange a private helicopter lift from the Animas helipad to 58CO Purgatory Nr One Heliport so you can skip the traffic and head right to the slopes. If you’re already planning your flight to the area, Colorado Jet Charter can help arrange the best flight itinerary to suit your needs. To start helping you a bit early, we’ve compiled a list of the absolute best attractions for travelers in the area. Based on client feedback and online reviews, there’s sure to be something on the list that will pique your interest; read on to check it out. Private Jets Colorado utilizes the following airports to fly clients privately to/from Durango, Colorado and neighboring areas. Request a Quote or give us a call at 1-888-987-5387 to speak with one of our Durango Private Jet Charter agents for your next luxury vacation, business trip, or special event.